Recently new series of Kei cars from Honda, especially the N-One, have harkened back to the classic design language. You can see it on the front ends of the otherwise boxy and unassuming 660cc powered mini-cars. But what if boxes aren’t your thing? The N-Labs S660 Neo Classic has you covered. 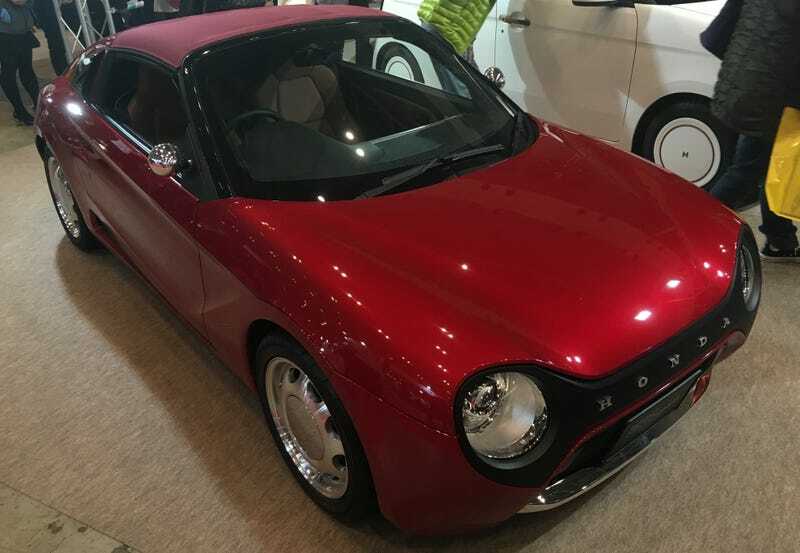 Sharing its front end design with the N-One, the Tokyo Auto Salon “Custom Car Grand Prix” winning S660 Neo Classic also seems to take some of its feel from the Honda S800 while still being modern—even somehow futuristic. N-Labs’ decision to call the concept the “Neo Classic” makes a lot of sense. It clearly feels like both retro futurism and neo retroism combined into a single design. The rear is probably my favorite part of the Neo Classic. I can’t really tell how much of it is Neo and how much of it is Classic. However, what I do know is that it really seems like a far more exotic sports car’s back end. If it didn’t say H O N D A on the back (thus making it perfectly clear who the manufacturer was), I’d wonder if it wasn’t European. Like the front, you can see elements of the S800, but this time, only if you really know where to look. The interior, however, isn’t classic anything, despite the judicious use of butterscotch colored leather seats and accents. I’ve had the chance to sit in a number of S660s over the last two years or so, and if the S660 Neo Classic has one serious failing, despite its champion status, it would be the interior which isn’t changed really enough from stock, and doesn’t have any modified panels, gauges, grains, or dash elements to make it feel like the same sort of combination of retro and futuristic, modern and classic. It just feels like an ordinary S660 with nice leather. It’s true that I’m seriously considering an S660 as my next Honda in Japan. They’re fairly inexpensive new, relatively speaking, and after a few years on the Japanese pre-owned market, even more so. However, I do admit, I think I’d rather own one in Neo Classic garb. As we’ve often said on Jalopnik: too bad it’s just a concept.